2 PM LINKS No. 105: Basic, slow innovation, brick & mortar weakness, and the fall of the preppy leader. This is issue no. 105 of 180. The last issue saw a 40.29% open rate with a 8.07% going to this article on how and why Michael Phelps can market himself, whereas Olympians cannot. Forwarded to you? Two PM Links is a daily letter with curated links and quick commentary on brands, data, and eCommerce. Subscribe here. BRAND: Ralph Lauren has become muddled and confused and is simply not competing effectively against brands like Vineyard Vines, which have good traction with younger, high spending consumers,” Håkon Helgesen, an analyst at Conlumino, wrote in a note to clients. “Some action has already been taken to simplify the brand structure, but much more clarity is needed in communicating the various parts of the offer to consumers. At present, the various parts of Ralph Lauren are too hit and miss. MEDIA: A few of my friends have noted how strange it is to see so little organic posting about the Olympics from the people they know. I am sure it is because, where once the Olympics, like the Super Bowl, was something we all experienced together, it is now something we mostly experience on our own time and in our own way. The fact that you can’t guarantee that most—or even many—people have watched the same thing at mostly the same time makes it hard to get excited about the action with others. 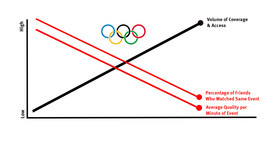 There is no Olympic water cooler. BRAND: The handbag category as a whole has been struggling in part as department stores fumble and tarnish brands' reputations. But while its competitor Coach has been working to undo its damage by scaling back on promotions, selling better products, and updating its retail stores, Michael Kors finds itself far behind and has been relegated to a basic b---- status. You know who that is: She wears a Michael Kors bag, Lululemon leggings, Ugg boots, a North Face fleece, and holds a Starbucks cup. She is listening to Taylor Swift, most likely. DISCLAIMER: I do not agree with this derogatory framing. BRAND: Nike and Adidas aren’t the only brands throwing their weight around. 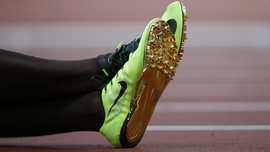 As the New York Times reported (paywall), Jeremy Taiwo, who is sponsored by running specialist Brooks, will cover up Nike, Adidas, and Asics logos on shoes he wears for jumping and throwing events that Brooks doesn’t make a shoe for. 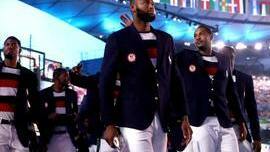 The US decathlete plans to do it with “tape, elastic sleeves and cleverly shaded fabric,” the Times wrote. It’s all fair play, at least in theory. 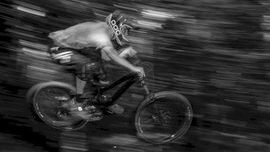 When large brands sponsor athletes or teams, they can provide significant financial support. 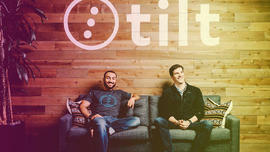 FINTECH: Tilt is a mobile app that allows a person to crowdfund a project from a specific group of people, whether a club or a group of friends. The platform doesn’t have rules around what a person can pool money for, but if they’re selling a product, Tilt will apply a 2.5% fee to the total amount raised. The app is designed for social scenarios, like collecting money from a group of friends for a weekend trip or perhaps running a fundraiser for a cause among a more intimate group of people, and has gained interest among college students. ECOMMERCE: Think about the buzziest brands right now. 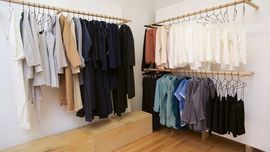 Are you thinking Glossier, Everlane, Outdoor Voices, Reformation, Bonobos, and Warby Parker? What about AYR, DSTLD, Cuyana, M. Gemi, The Arrivals, La Ligne, Monogram, Mott & Bow, and Bikini? These are all fashion companies that were born online selling directly to customers via e-commerce, without selling their product through department stores, boutiques, or other retailers. Now existing luxury brands are borrowing the same exact strategy from this new crop of e-commerce start-ups by cutting out any middlemen and doing away with wholesale. DATA: It's also possible that Google will use it to replace and unify Android and Chrome OS, the company's two operating systems that run on mobile and laptops respectively. 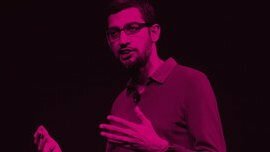 Over at PC World, Nick Mediati explores this idea: "One possibility I see is where Google uses Fuchsia instead of Linux as the underpinnings for next-generation versions of Chrome OS and Android. That is, both would use some form of Fuchsia — or the Magenta kernel — as the underlying basis of the two operating systems. DATA: eCommerce has always been a game of speed. Consumer adoption of smartphones and tablets for e-commerce raised the profile for metrics associated with a rate of time. Studies have already shown that consumers accessing online retailers via mobile devices are usually ready to purchase, and can stimulate cross device retail as well. Thus the metrics should emphasize how long it takes customers to make purchase decisions in terms of time and in number of visitor sessions. BRAND: Twitter calls them “promoted stickers” but essentially they are branded stickers… well subtly branded stickers, at least. Pepsi is the first partner on board in an undisclosed deal that allows Twitter users to plaster stickers designed by the fizzy pop company onto their photos. 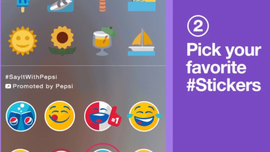 Doing so and posting the photo triggers a hashtag to appear inside the tweet, which makes it discoverable to Pepsi — perhaps for further promotion or competitions — and that, in turn, helps promote the brand in a different way on Twitter. That’s the theory, anyway. BRAND: His accomplishments are on a long-term scale. They take investment. They’re about refinement, about maturity. As chief operating officer, Cook was credited with what some could arguably call Apple’s greatest but most boring accomplishment — the massive manufacturing and distribution chains that made it a household name in Beijing, Baltimore and everywhere in between. 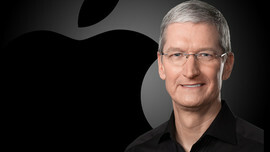 So Cook’s ears are closed to the criticism Apple gets for not being as flashy or open about its moonshots as its competitors. ECOMMERCE: As direct-to-consumer evolves, perhaps the case of Sports Authority could be viewed as a cautionary tale. The big box retailer failed to innovate and found itself in competition with its own top-selling brands, as companies like Nike focused on drawing customers directly to its website or its own brick-and-mortar stores. Mellon thinks the answer for department stores during this transition might involve shop-in-shops at department stores where retailers could have complete control and then pay department stores a commission of sales. In the past several months, we've watched populous eCommerce marketplaces and consumer packaged goods (CPG) companies exit in outsized fashion. Jet.com netted their founder $750M for three two three years of work; the company exited for $3.3B. DollarShaveClub.com sold for $1.1B, earning their founder $250M for five years of work. We've observed $13-30M (Bevel, Outdoor Voices, Series B's for eCommerce only retail brands that don't have any distinct product differentiations. I can't speak to the longterm but for this 5-7 year cycle, the market is rewarding vertical brands who focus on farming their consumer data. M&A seems more likely for brands that own 100% of their relationships. The one exception is Bevel, who now distributes through Target. Target's checkout data rivals any eCommerce platform's ability to track sales tendencies. And unlike Amazon's marketplace experience, Target will share their data with brands like Bevel and Harry's. We're really beginning to see the tipping point of small business eCommerce. And for the brands patient enough to build online-first, it is beginning to pay off. 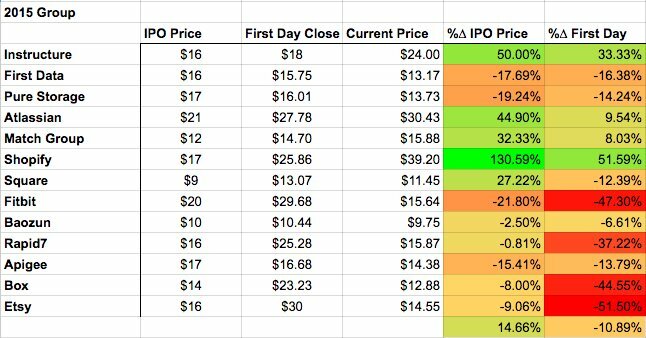 Shopify was 2015's best performing tech IPO. A further sign that the market is rewarding eCommerce vendors and the startups that support them.